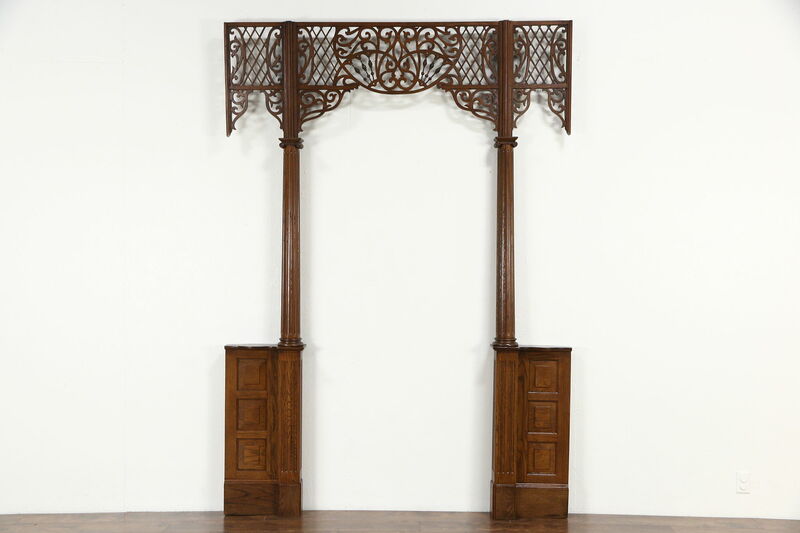 Architectural salvage from an 1890's Milwaukee home, this archway with fretwork and columns has an excellent restored finish. Raised panels and fluted shaped columns are distinguished. This antique disassembles for easy delivery. Measurements are 6' wide, 6" deep and 103" tall. The center opening is 39" wide.